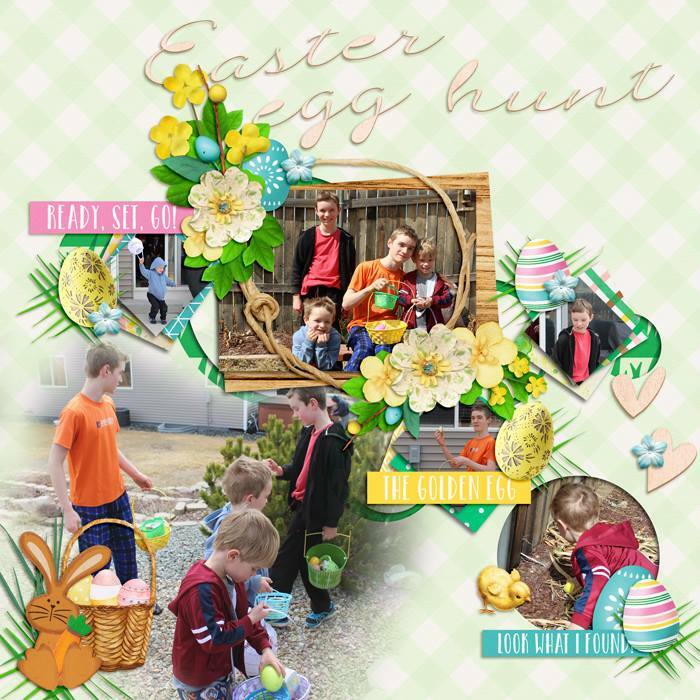 Easter is coming and so are all the Easter fun of baskets, egg hunts, and fun family time. 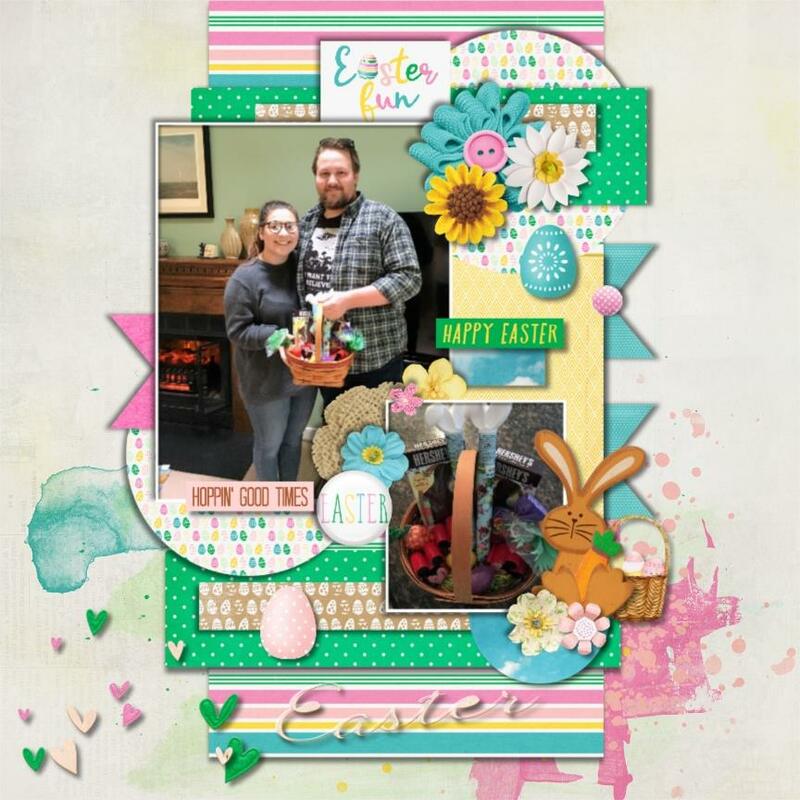 This month's Out and About installment is all about Easter. 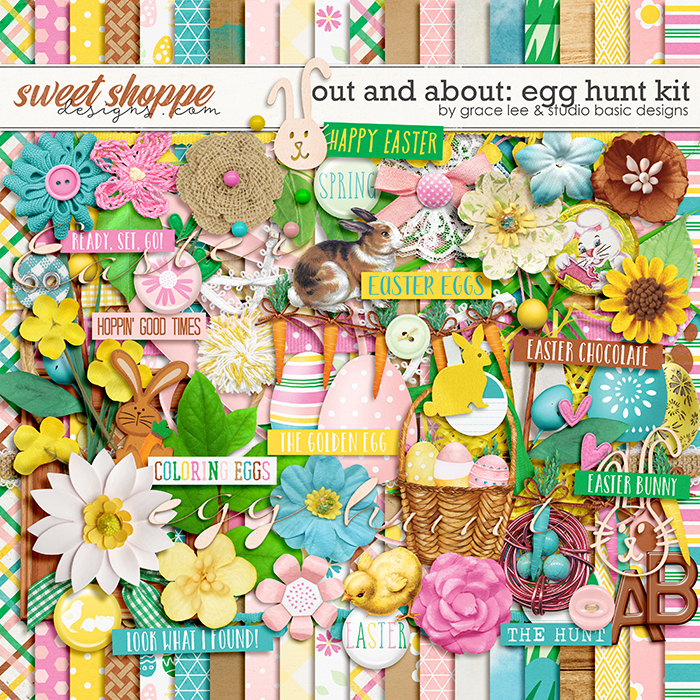 Out and About: Egg Hunt Kit with Studio Basic Designs is hopping into Spring with a a gorgeous Easter theme. 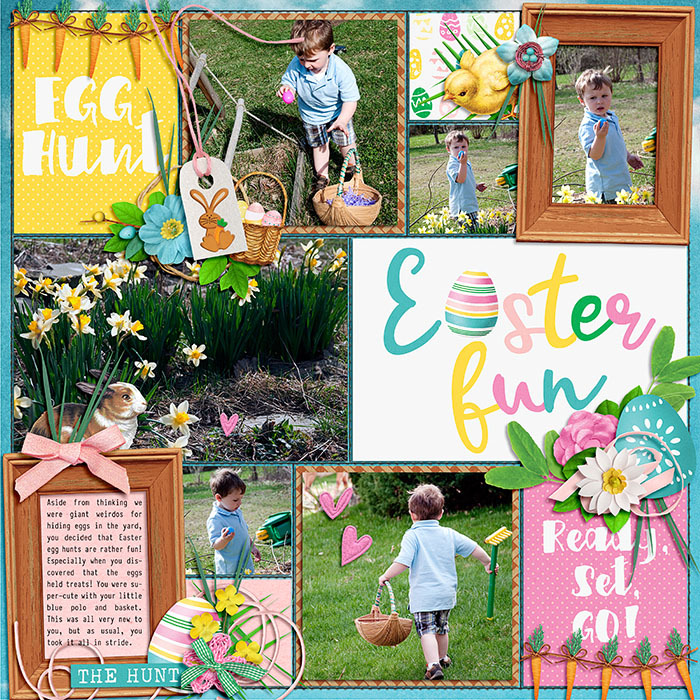 Bunnies, eggs, and flowers, will make documenting and creating fabulous layouts of egg hunts, gardening, filled Easter baskets, and other family fun a breeze! 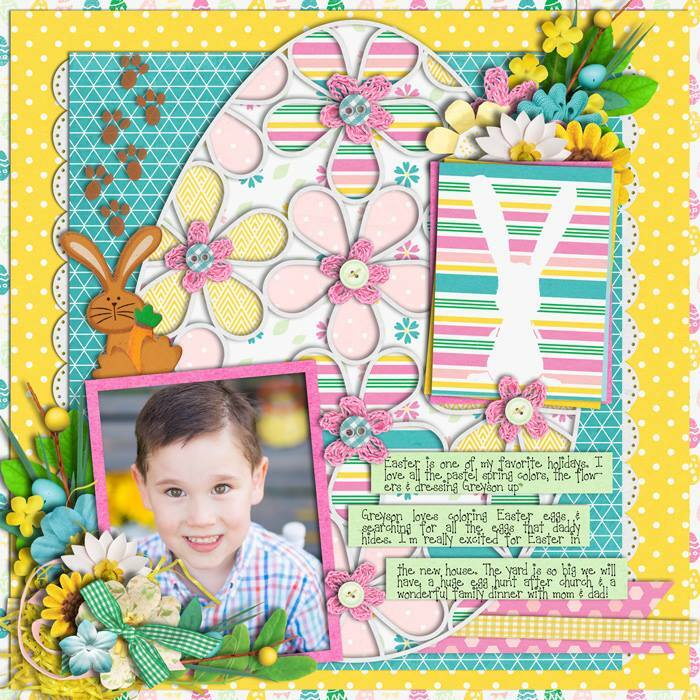 Don't forget to check out the coordinating journal cards. 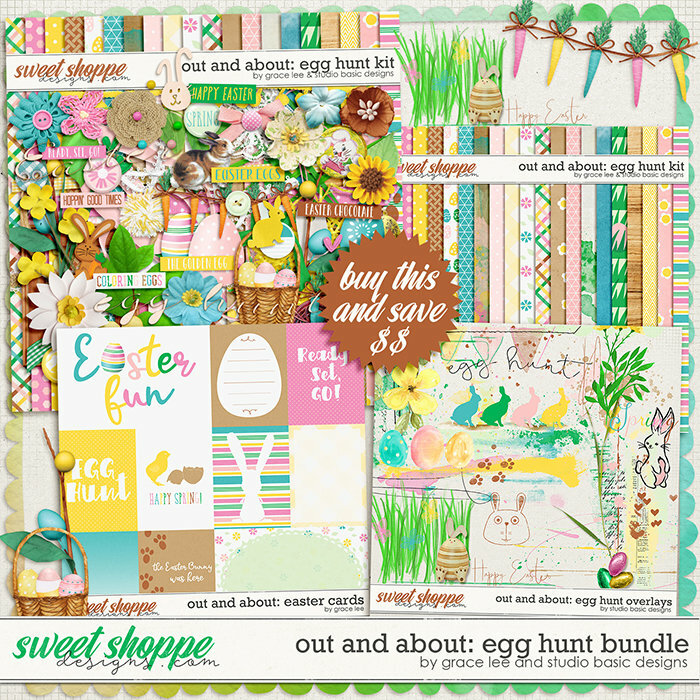 As always the very best deal is the full bundle! 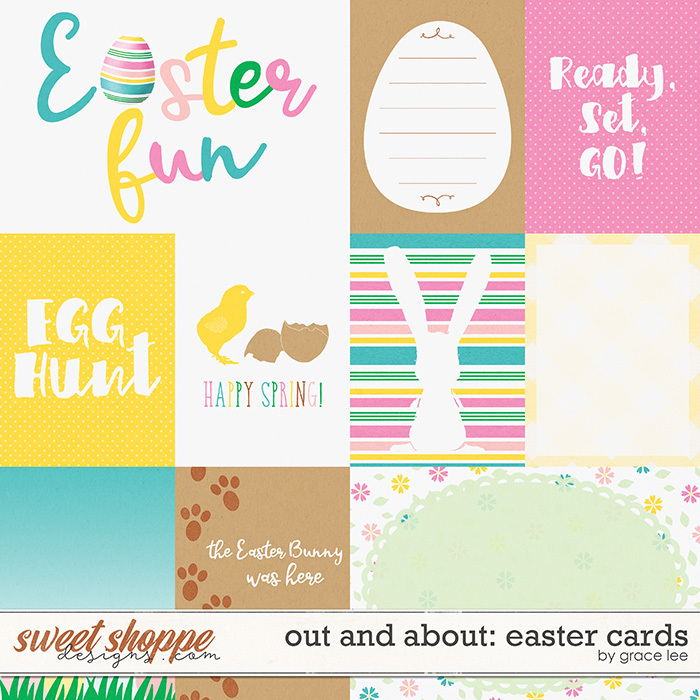 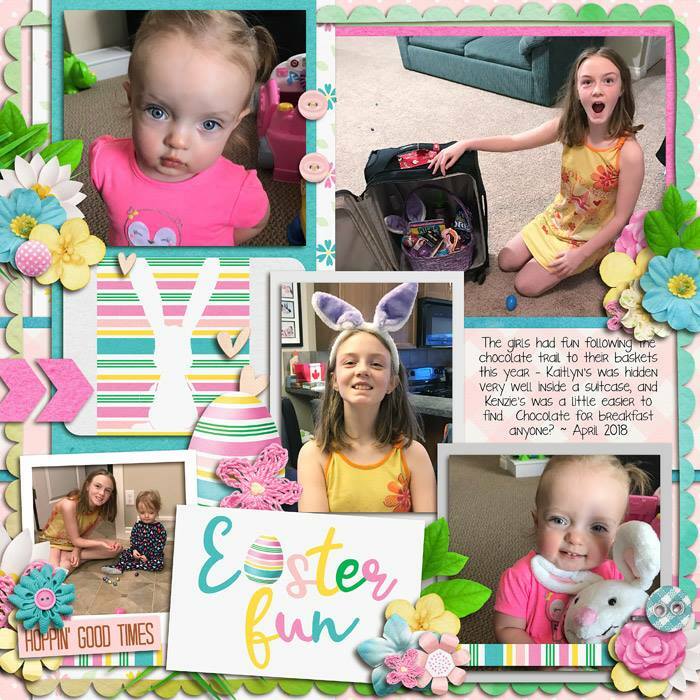 Out and About: Egg Hunt Bundleincludes the full kit, journal cards and overlays. 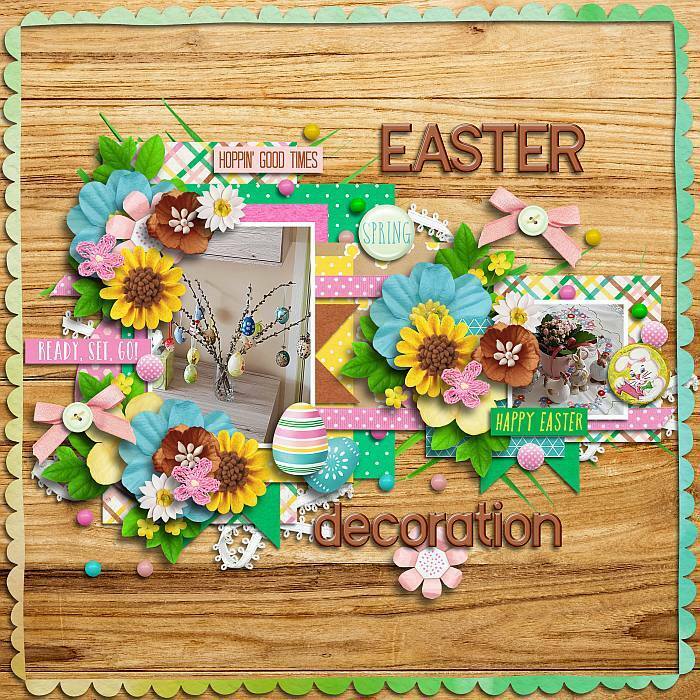 The creative team has some beautiful inspiration for you.